When I was told I got the Malam Ambang Kemerdekaan assignment during the staff meeting early this year, I was apprehensive because I already had a packed year with an Asrama activity planned for every month. Why wasn't something like this given to another less burdened department or individual? Why was I named personally for this task when they knew that I'd be busy with my own activities as Chief Warden? It's even stranger that Bulan Kemerdekaan was under the Humanities Department. Why was this small event under Bulan Kemerdekaan specially given to me? Interesting. Anyway, I gave my admin the benefit of the doubt. They probably had good reasons for this & I accepted the assignment without a word. 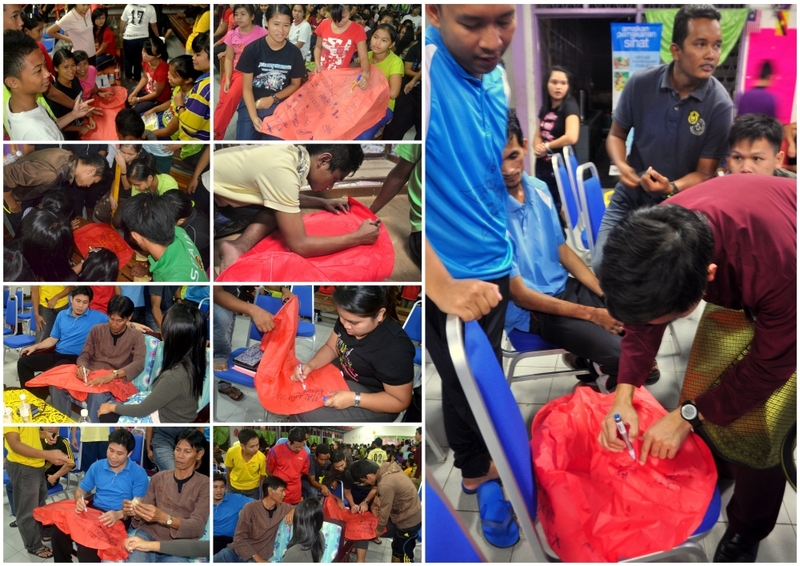 It was something new & I simply included it into my list of Asrama activities. Also, I had a trick up my sleeve to make this event a memorable one. Don't worry. I didn't do Oppa Gangnam Style. Although, I'd rock it. I did something even better & more awesome. As per usual, my focus was on an event from the students for the students. I got my key students into the AJK & they had to lead other students into preparing for the event. This time around, they did a better job than they did for Malam Kerlipan Bintang. I wanted a simple event focused on the students. Let them self-study first & then start the event at 10pm. 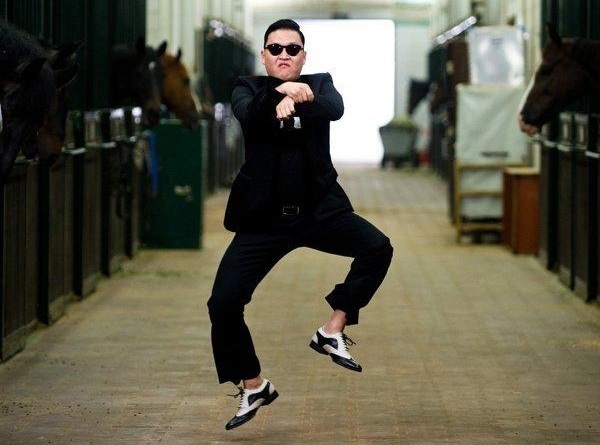 But I received request from teachers to make it a barbecue/jamuan starting at 7pm. But what will the students do for the 5 hours from 7pm until 12am? That was up to me. WTH. Sorry, I'm doing this for the students, not for teachers. Teachers should come out of a desire to spend time with students. NOT for a jamuan. I'd rather not have those kind of teachers but rather teachers who genuinely care like those who did attend anyway. Kudos to them. You know who you are! The event started with a patriotic songs karaoke. Including favourites such as Wawasan 2020, Jalur Gemilang, Tanggal 31 & Keranamu as well as lesser known ones like Perajurit Tanah Air, Muhhibah, Malaysia Baru & Berjaya. There was an entertaining Police vs Communists sketch by the Police Cadets. There was a patriotic poems recital also by the Police Cadets. A big thanks to Cikgu Hayazi for supervising the Police Cadet performances. & learning from good examples to uplift themselves & their people out of poverty. 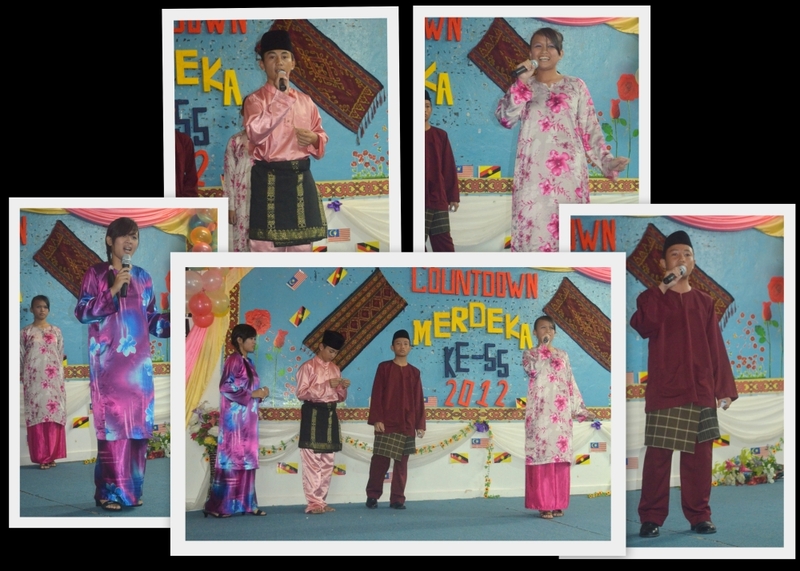 Also, I rock in a Baju Melayu! Students & teachers prepared lanterns where they wrote their prayers/wishes for the country. 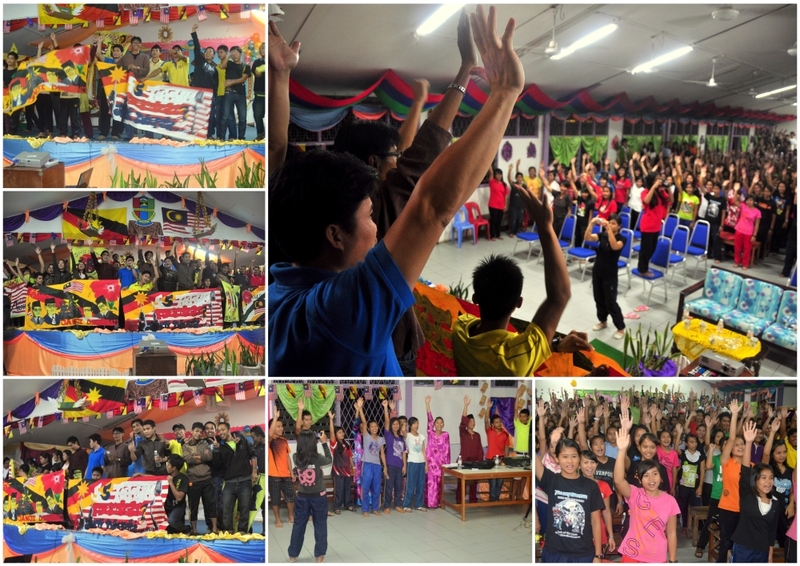 A speech by the principal followed by a countdown to 12am & a declaration of Merdeka 7 times. The grand finale: Lanterns filled the night sky! 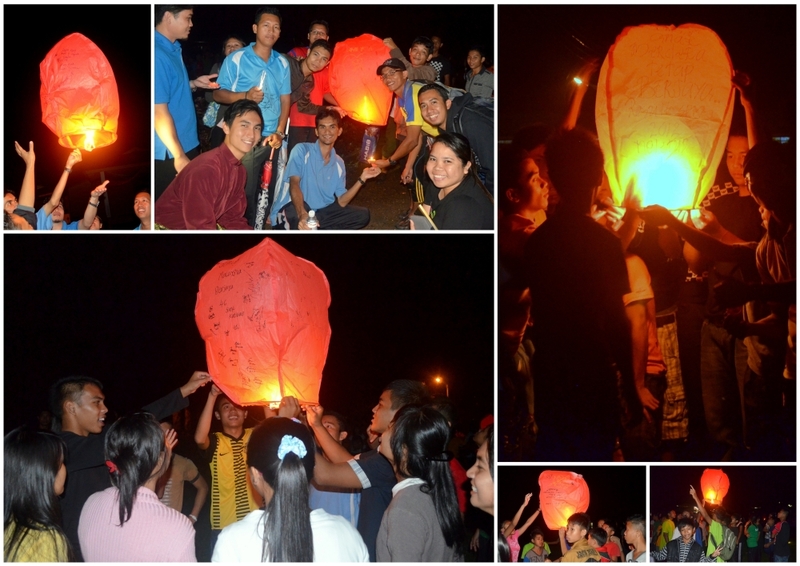 The students really enjoyed themselves & loved to watch the lanterns magically float away. They'd just stand there, sigh, point their fingers & stare up into the sky. It was truly a sight to behold. I bought those lanterns in bulk during CNY & the investment paid off handsomely. There you have it! 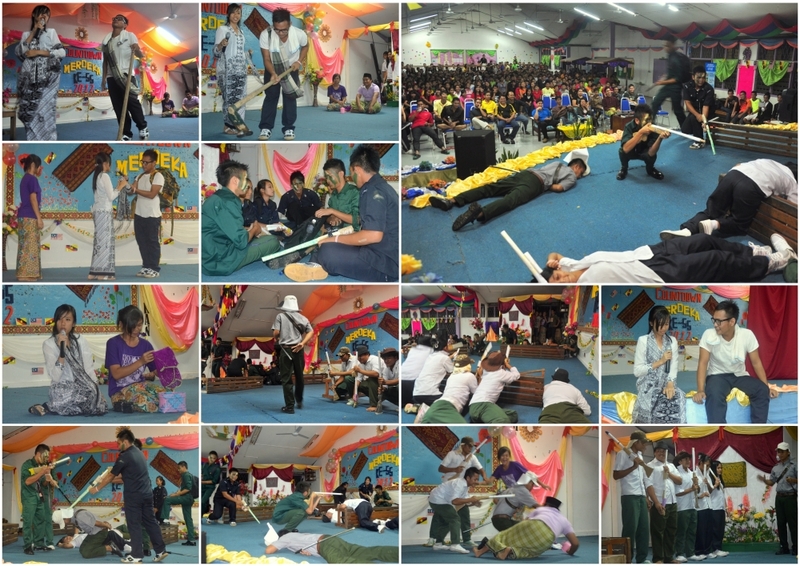 The 2012 Merdeka Countdown Celebration at SMK Katibas which is part of an even bigger Bulan Kemerdekaan programme by an awesome & responsible Cikgu Lya. So, what did you do at your school?